The New York City Economic Development Corp. is in late-stage talks to relocate its headquarters Downtown into roughly 220,000 square feet at One Liberty Plaza. 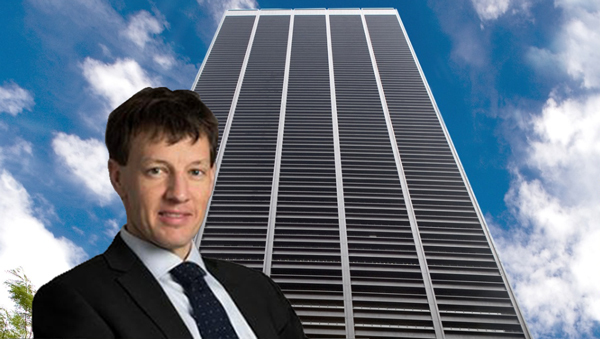 The quasi-government agency, headed by former Goldman Sachs executive James Patchett, has a lease out on five floors near the base of the 54-story tower owned by Brookfield Property Partners , sources told The Real Deal. Asking rents in that portion of the building are in the mid-$50s per square foot. For more than a year now the EDC has been in the market for a new office that would be a step up from its current digs at the century-old 110 William Street, which sources told TRD lacks for natural light and air and an effective heating- and-cooling system. The agency currently has about 500 employees spread across roughly 265,500 square feet at the 1918 building, which is owned by Savanna and KBS Capital Advisors. A representative for Brookfield declined to comment. A spokesperson for the EDC said that the agency has not yet made a decision on its space, but is interested in identifying a “modern workspace” to support its team. “NYCEDC is looking at office space in a number of locations, including One Liberty Plaza, as our current lease is scheduled to terminate in 2019,” the spokesperson wrote in an email. The floors EDC is negotiating for sit above the eighth and ninth floors where Business Insider last month inked a deal for 88,000 square feet. In fact, it’s been a busy year for Brookfield at its 2.3 million-square-foot tower at 165 Broadway. Earlier this year, the insurance giant AON and the cosmetics company New Avon inked deals for a combined 300,000 square feet at Brookfield’s building. As part of its economic development role, the EDC is behind city-led land use projects such as Essex Crossing and the economic study for Mayor Bill de Blasio’s proposal to develop Sunnyside Yards. Patchett took over earlier this year at the EDC after former EDC resident Maria Torres-Springer stepped down to take over as head of the city’s Department of Housing Preservation and Development.